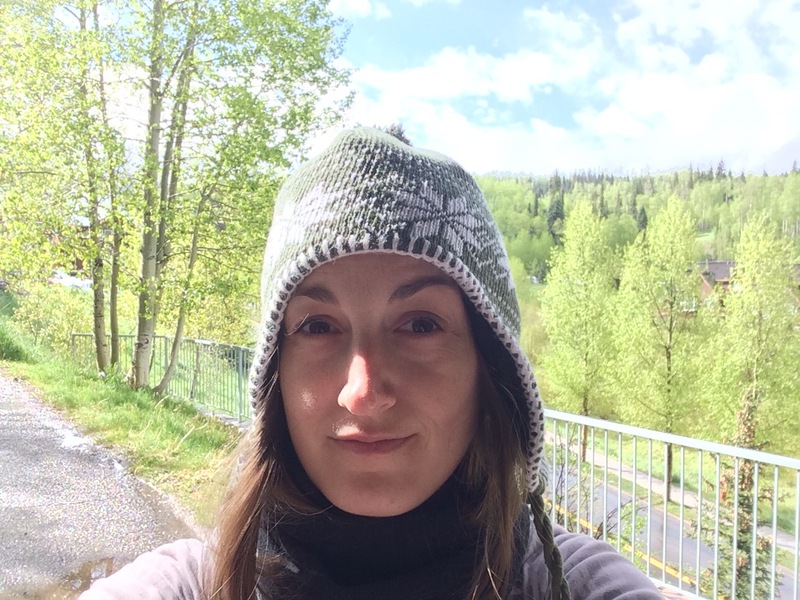 What I learned today – It was the altitude! Also- bag your feet when it rains! Rube cooked us a wide spread of eggs with veggies, tomatoes, and english muffins, and after filling our tummys we packed up and prepped for rain, even though it looked like there was a slight pause in the precipitation. I was feeling slightly better but still not great. 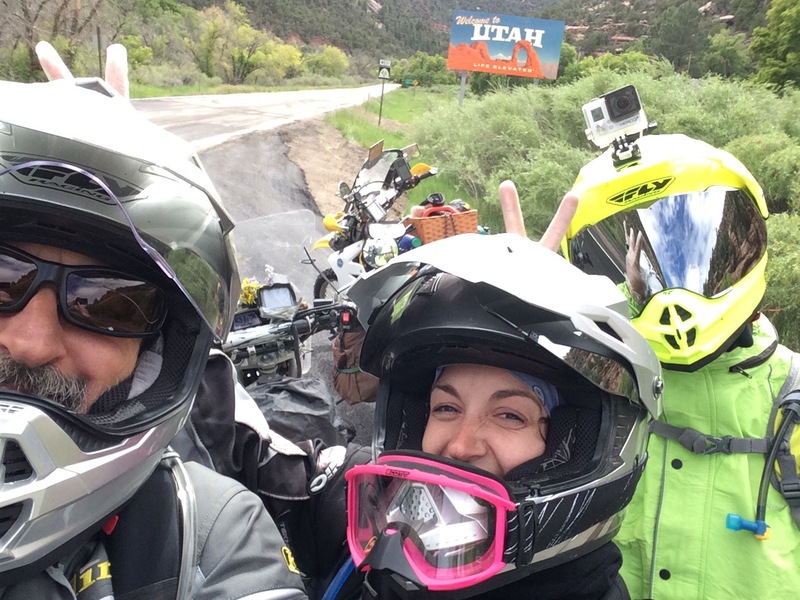 Once our friend Justin pulled up, offloaded his bike, put on his rain gear we were off, and the rain came back. We stopped to top off gas and Justin quickly put on warmer gear – not only was it rainy, it was also cold. 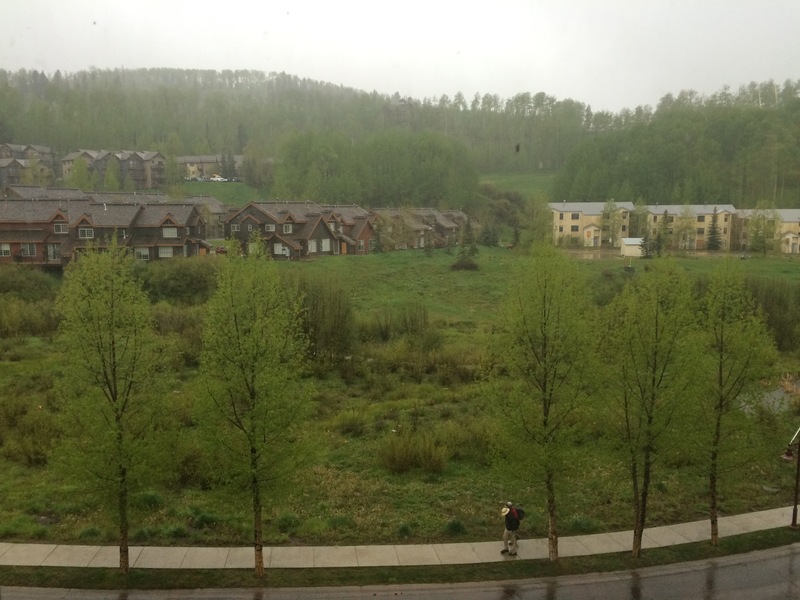 As we pulled away from Telluride it started to rain harder and the sky lit up with lightning a couple of times. As the thunder rolled I wondered if dad would turn off the road to try to find shelter, but we pressed on. After about 5 miles I started the feel the rain coming through my boots, another 5 and both feet were completely soaked. And cold. Did I mention it was cold? We got a large table in the back room and spread out even more than usual. Dad went across the street to buy a roll of paper towels, some 2 gallon ziplocks, and some peanut M&Ms. 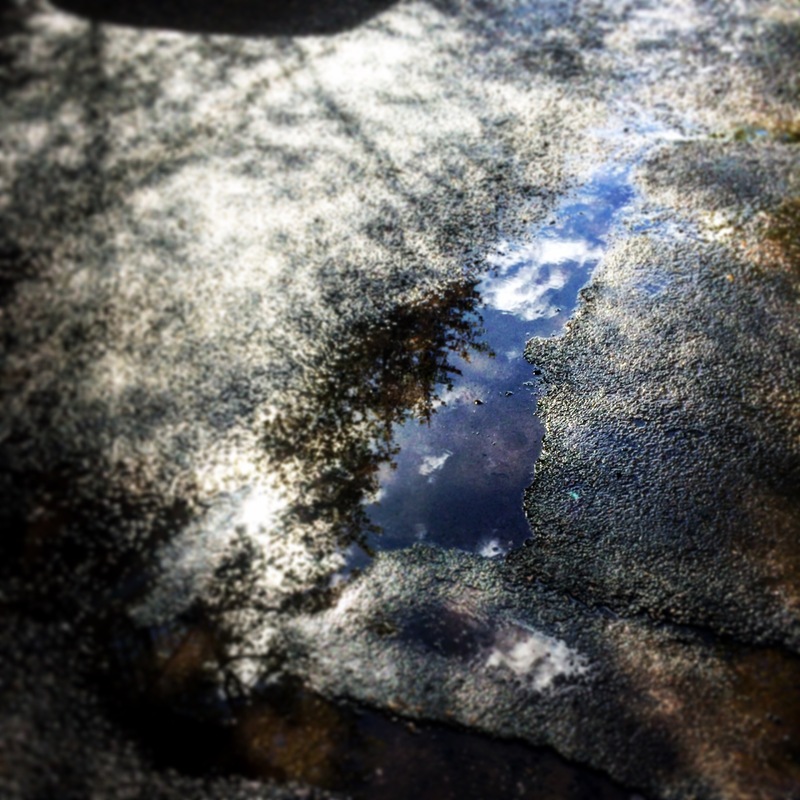 After getting off my wet gear, I noticed that I felt much better – in fact, I felt great!! Kind of like a normal person again…we had only dropped down to 7,000 or so feet, but apparently that made a world of difference for me. 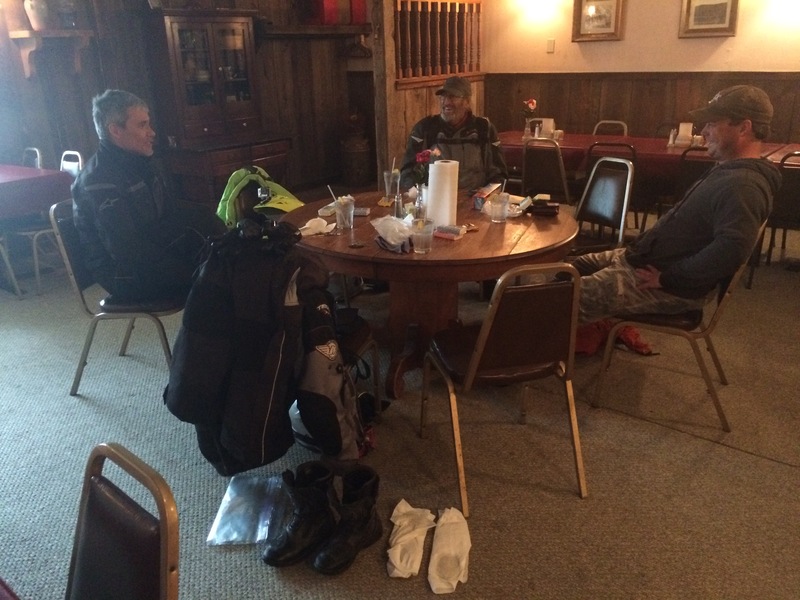 Justin had planned to ride with us for a day or so, but the weather was so nasty he decided to peel off after lunch. During a brief pause in the downpour we bade him farewell, picked up some motor oil from the Polaris (we’d need to do oil changes soon) and hit the road again, this time with 2 gallon ziplocks wrapped around my feet. After riding a while the rain abated and the air warmed up. There was even a bit of blue sky overhead as we crossed the border into Utah! There were still storms surrounding us as the landscape began to change. 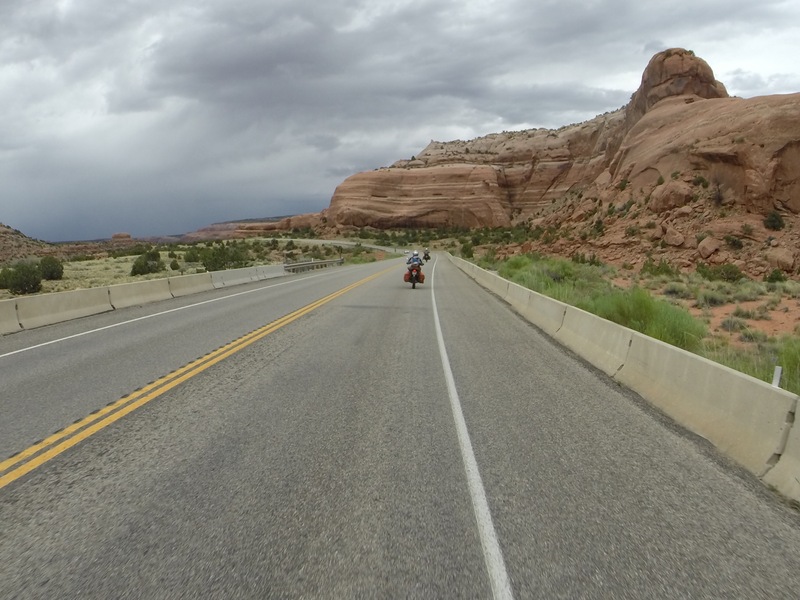 We rode through beautiful canyons, over mountains and through valleys. 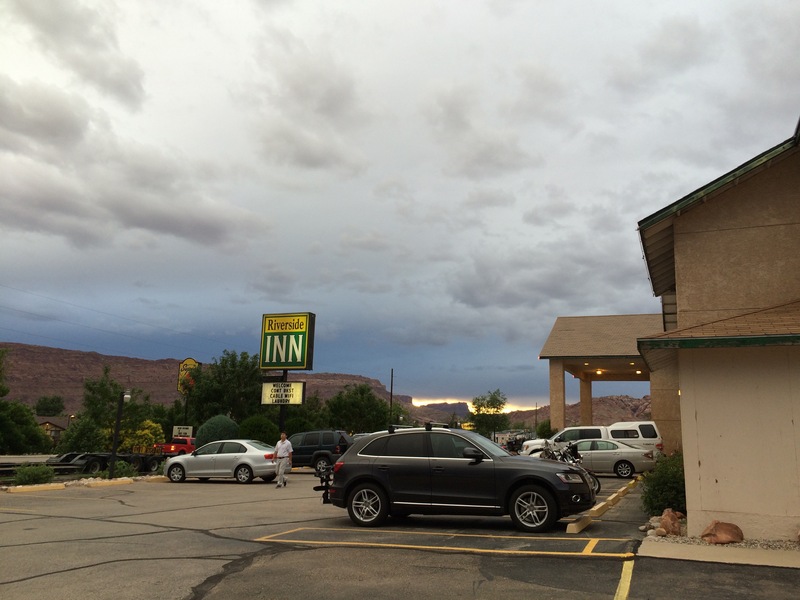 We could see lightning in the distance about 30 miles out from Moab, but continued on. It was very much enjoyed! 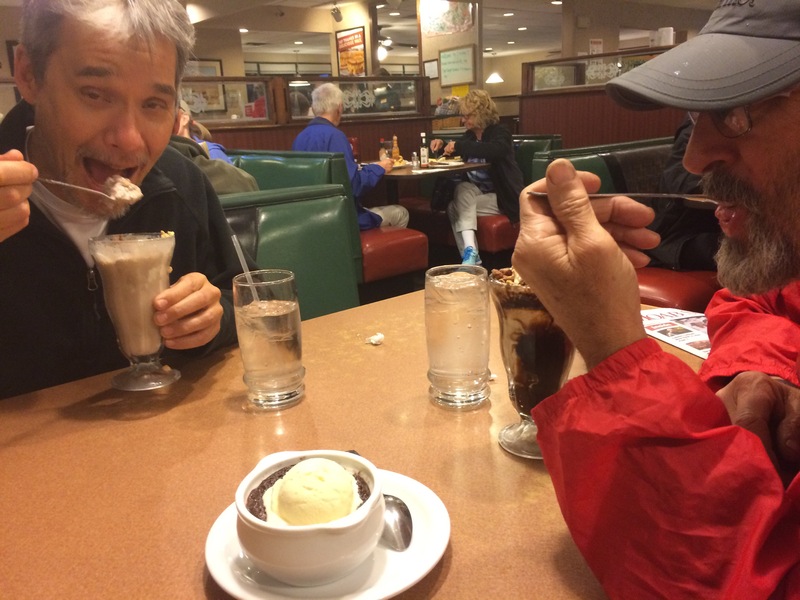 After Thai take out in the hotel room we went across the street to Denny’s for some ice cream and to discuss a plan for the remainder of the trip. Last night after my altitude fogged brain had been pouring over maps with no solution, I had given up (surrendered!) and let go….and that’s when an idea came! Our original deadline of June 14th was so my dad could make a conference in Seattle. We could have all just paused for a few days, but Stefan had client meetings and his family back in Blacksburg, and I was teaching yoga at a silent retreat on the east coast at the end of June, so a 4 day pause wasn’t an option. I wasn’t wild about the idea of finishing without my dad – the TAT was his wild idea In the first place! Around 11:30 pm after tossing and turning something clicked in by brain and I got up to look at the maps again. If dad peeled off in Eureka, NV – drove his bike to Reno, flew round trip from there, and then came back and rode north to Lakeview, OR, the timing would work out perfectly for Stefan and I to continue on the TAT between those two points. It would also leave us 4 days to finish before catching a plane back to the east coast! It was kinda crazy, but it just might work. Over ice cream we discussed the plan. 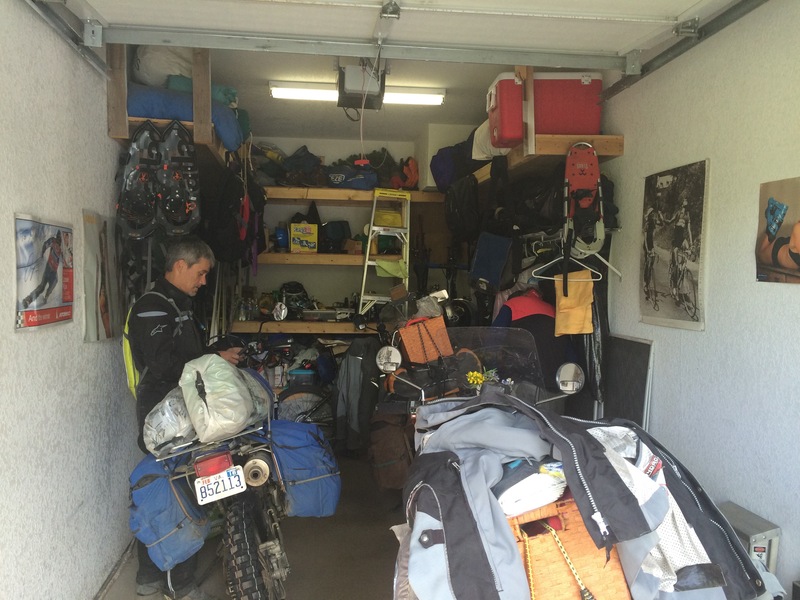 If you are all flying home what are you doing with your motorcycles? Nice! I’m all about making the impossible possible with a little creative thinking – glad you guys figured out a way to make this happen!